Our Questions Management application will have many pages, each page will have some common sections for all pages and specific sections for this page. 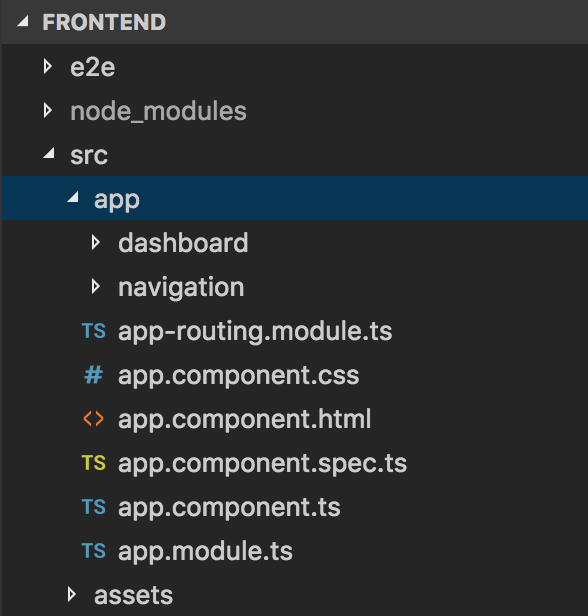 Therefore, splitting our template using Component and Module in Angular is essential. In this tutorial, I will guide you all how we split our SB Admin 2 template. You will see the left navigation menu and the navigation section at the top of the page are common to all pages of our application. Only the middle part of the “Dashboard” will change as we move between different pages. The navigation section is the left menu and the top navigation, while the page-wrapper is the Dashboard. 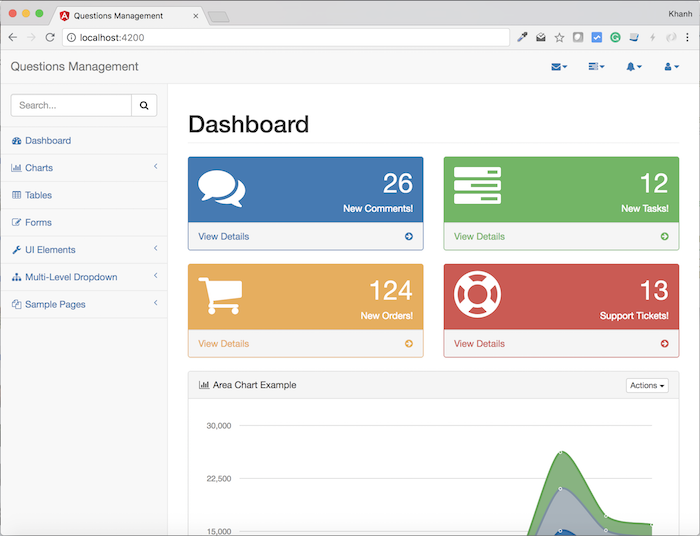 Talking first about the dashboard, the content of the Dashboard page will contain a lot of different information. 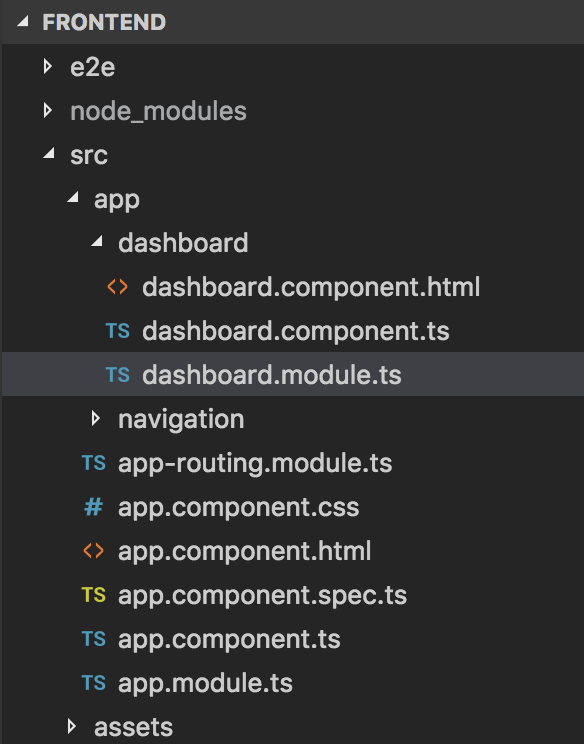 Each information will be a component in the Angular so I will create a DashboardModule class to compile these sections. I will now create 3 files: dashboard.module.ts, dashboard.component.ts, dashboard.component.html. The contents of the dashboard.component.html file will be copied from the page-wrapper section of the app.component.html file. Content is a lot so I will not copy this here, but one thing is that we will replace the contents of the page-wrapper in the file app.component.html to “<qm-body> </ qm-body>”. Next, we will talk about navigation. 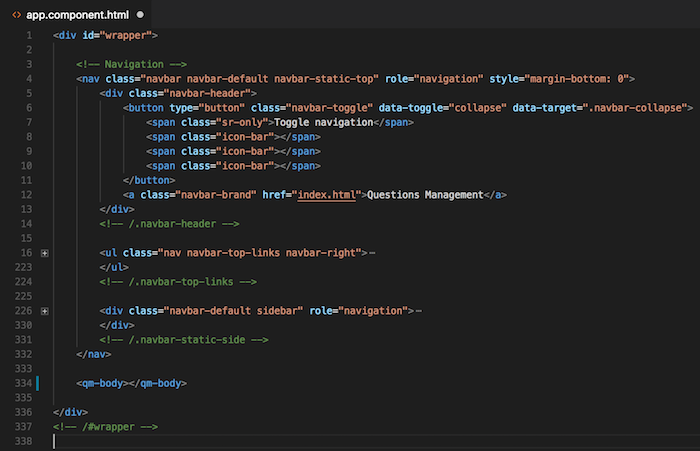 The top navigation is the <ul> tag in the above image, while the left menu is the <div> tag with the navigation role. As you can see, we created two directories sidebar and navbartop in the src/app/ navigation directory. 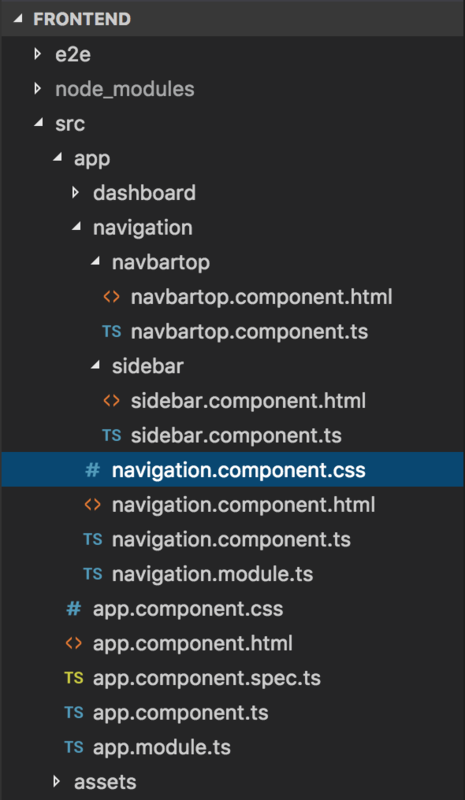 In these two component classes, you see that the selector in the @Component decorator is defined with the values nav-sidebar and nav-top, which are the HTML tags defined in the navigation.component.html file. In the selector section of NavigationComponent above, as you see, I have defined the value “qm-nav”. This is an HTML tag that has been replaced by the content of the navigation section in app.component.html. OK, here we have basically finished splitting the SB Admin 2 template into small parts. At this point, you run the application, the results are still similar.